It was a bit crowded when we reach. They have lay the tables with a comfortable distance between each other. This gives us a little privacy. It relaxes the mind from the hectic working life. The service is great! They swiftly show us to our seat. 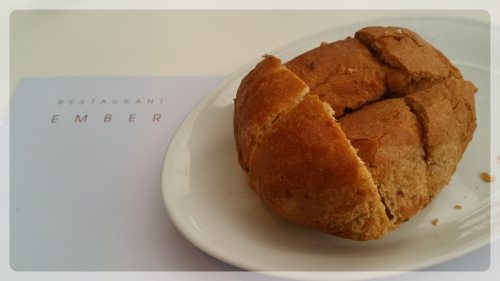 They serve complimentary warm bread. It is simply divine. Crusty on the outside and soft in the inside. I just have to get the second helping of the bread. We ordered 2 lunch sets. 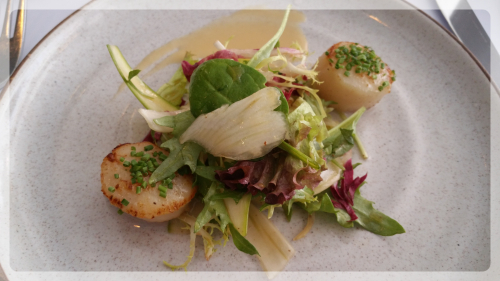 The lunch sets start off with Lobster Bisque and Pan-Seared Hokkaido Scallops, Asparagus, Mesclun Salad & Ponzu Butter. 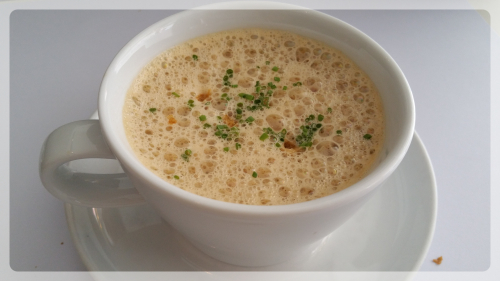 The lobster bisque is presented in a cup. The lobster studded soup is so so fragrant, flavorful and smooth. The pan-seared plumpy scallop is so sweet and juicy. 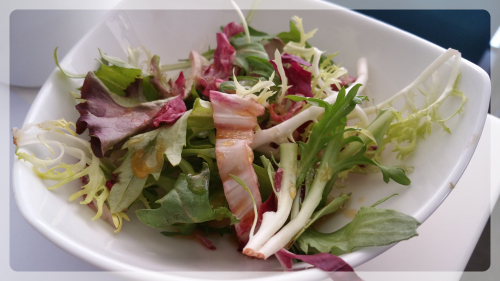 Together with the fresh salad, the dish is so refreshing. The 2 delicious dishes enliven everyone's appetite. 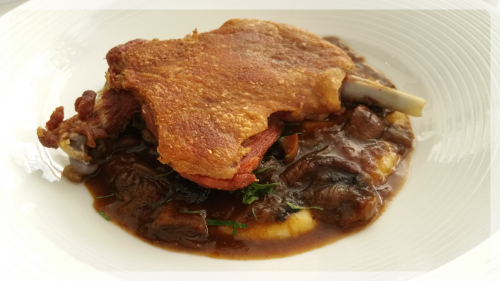 Next we have the 36 hours twice-cooked Duck Leg Confit, Potato Puree, Caramelised Onion with a little bowl of salad. The duck skin is so crispy and crunchy. The duck meat is incredibly succulent. 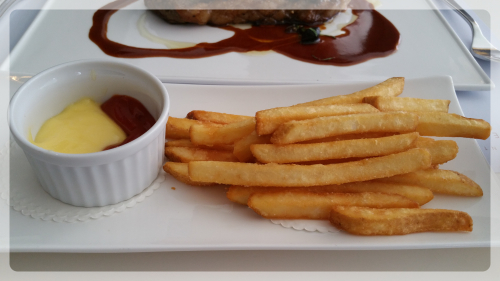 The potato puree is so smooth and creamy. 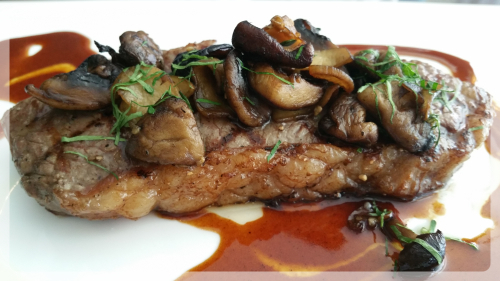 We also have Pan-Grilled 200 days Grain Fed Stockyard Sirloin, Seasonal Mushrooms and Red Wine Jus. The sirloin is so juicy and tender. Strong earthy flavored mushrooms tastes so great. Beautiful Desserts are perfect to conclude the meals! 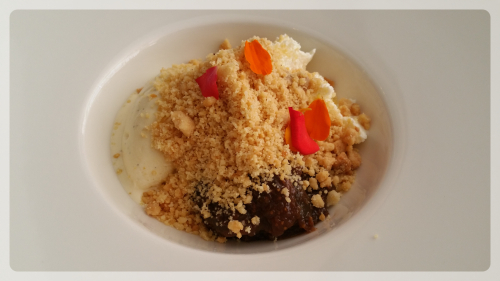 We ordered the Deconstructed Fig Cheesecake, Crumble & Tahiti Vanilla Ice cream. It is stunningly beautiful with the lovely petals. Love the creamy cheese together with the fig paste. The crumbles bring a different layer of texture to the smooth cheese. 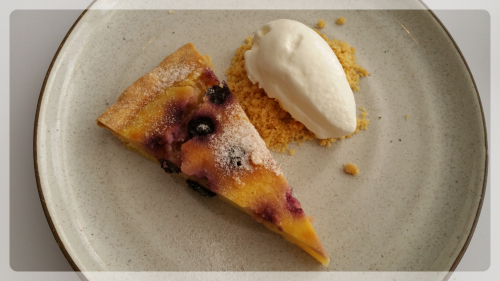 We also have the Daidai and Blueberry Tart & Mascarpone Sorbet. Daidai is a type of bitter orange. The blueberry tart is bursting with the flavour of blueberries. However, I still prefer the Deconstructed Fig Cheesecake instead. 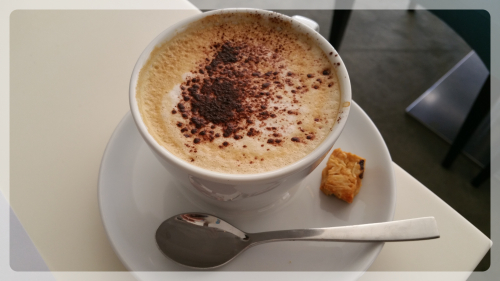 A nice aroma cappuccino to end off the lunch meal and set the pace back to my work. The meal cost us about (~S$122). 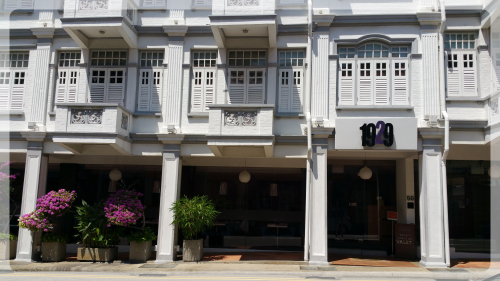 It was about S$61 per pax. 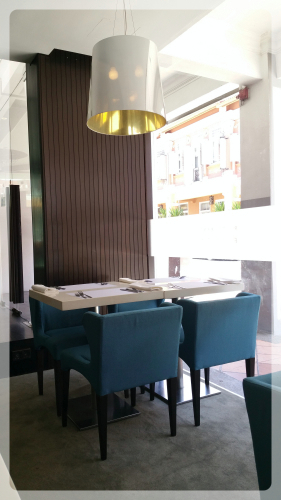 Ember has a great and cozy ambience with swift service. 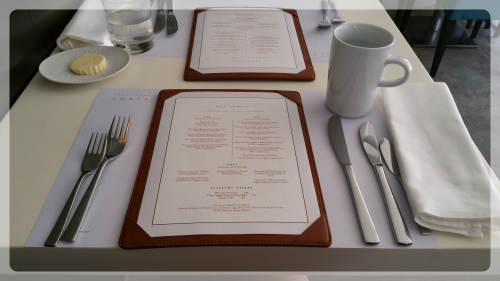 I prefer the Flavourful Lobster Bisque, Plumpy Pan-Seared Scallops, Crispy Duck Confit and Unique Deconstructed Fig Cheesecake. I will definitely come back again.